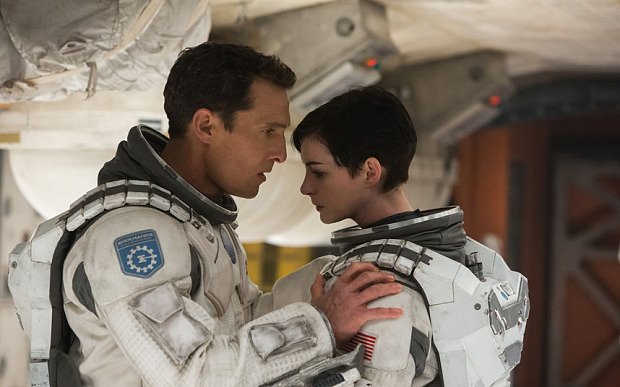 The most talked about Sci-Fi flick of 2014, Christopher Nolan’s Interstellar was an agglutination of stellar performances, videography and exquisite special effects. The visual effects were splendid and got undue applause and recognition; lately, it got nominated for the Oscar’s nomination. A computer code dubbed Double Negative Gravitational Renderer (DNGR) was deftly used to generate myriad iconic images used in the movie. The technology was used to come up with peculiar surfaces or caustics, myriad images of individual stars, thin-bright plane of galaxies, nitty gritty about black holes. Camera were placed in a close up to a black hole that is spinning rapidly and how technology depicted that shadow of any black hole gets concentrated only on one edge! The images portray that the spinning black hole is incidentally dragging space, enabling the whirling motion that the space is actually facing and stretching caustics. It is a first time show on the silver screen, though not the first trial in the Hollywood’s tinsel town. Nolan and his team outclassed all and sundry – film makers, subordinates and special effects team in protracting their ideas pertaining to a black hole and how celestial bodies’ orbit looks like. The movie projected unprecedented smoothness, and clarity of images of black hole Gargantua, worm hole and myriad of celestial objects. Nolan ensured that the images of the stars and the nebulae produced did not quite flicker or fade out, and hence the underlying computer code was changed to DNGR from tracing of individual path rays. Lo and behold, we have an exquisite result – a show that is a treat to our eyes! The technology adopted helped Interstellar scale heights of success and glitz. In real life, science is shown an ordained path, following which astrophysicists may study a myriad of phenomena occurring in space. The DNGR code can easily be adapted by scientists feels Oliver James, the co-author of Interstellar. Thus, in near future, simulations and explorations using DNGR can take research to a new high, creating an anticipated paradigm shift, helping scientists to decode the universe and the black hole with undue diligence and exquisiteness.